Australia’s hotel real estate market was largely flat in 2018, with only 37 transactions recorded. Investors snapped up $1.8 billion in hotel real estate transactions over the course of 2018, according to Colliers International’s Hotels Sales Analysis Report for the year, the company announced today. The company said that while the year began slowly, transaction volume picked up in the second half of the year. In all, total transaction volume was down 15.7% on the prior year of 2017, which saw $2.2 billion across 57 transactions signed and settled. It was the lowest result since 2012. Queensland was the country’s most active market, the report found, with an improving Brisbane market and growing leisure appeal in the state’s Tropical North luring investor interest into the leisure market through big-ticket holiday resorts. The year saw 37 transactions in total, including two portfolio deals. There was also a continuation in yields, which have dropped steadily from nine per cent in 2013 to six per cent in 2018. The figure is now reaching similar levels to 2011, which was when the market hit its most recent cyclical low. In all, the state saw $491 million worth of sales, with the Watermark portfolio going for $90 million. The flagship property in this transaction on the Gold Coast was eventually transformed into the global debut of InterContinental Hotels Group’s voco brand, which opened in November. SKYCITY has sold its Darwin casino and resort as its moves to focus on other areas of its business. 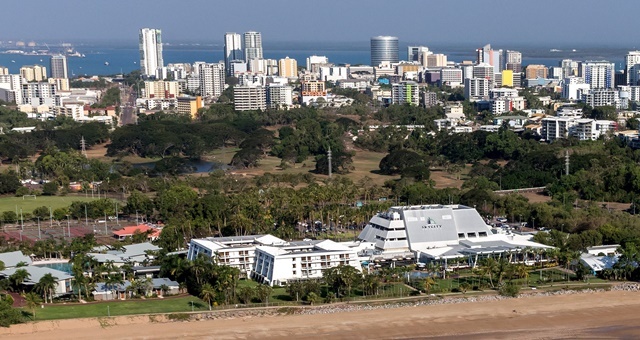 While not every price tag was disclosed, the biggest deal came from the Northern Territory as the 152-room hotel and casino Sky City Darwin was offloaded to Delaware North for $188 million. At the other end of the scale, the Travelodge Rockhampton met its new owners for a comparative bargain of $5.8 million. Other major deals recorded during the year included the $156 million Pullman Melbourne on the Park, the $127.2 million deal reached for Bell City in Preston, Victoria and $88.5 million for Novotel Twin Waters, north of Brisbane. The market was dominated by offshore investors, Colliers said, with overseas buyers accounting for two-thirds of deals. The market broadened in terms of the home base of these investors, with more buyers found in Singapore, Malaysia, Thailand, the Middle East, India and the UK. China was a notable omission, the report stated. Colliers said it expects to see more development sales in 2019 as new projects near completion in Canberra, Sydney, Adelaide and Melbourne. More than 6,500 new rooms are due to hit the market in 2019 across the ten major accommodation markets. Existing owners have been advised to consider bringing forward renovation plans as this new supply adds to market competition. “Deal flow is expected to increase in 2019 as owners respond to changing market conditions, particularly in markets with significant new supply,” said Colliers International Hotels Director, Karen Wales. For the complete list of transactions in 2018, CLICK HERE.